We see a lot of great Zendesk designs. We actually design a lot of great customized Help Centers ourselves. Through the process we’ve collected examples of Help Centers we’ve felt really stick out as well done for a variety of reasons. All of these customized Help Centers are well thought out, provide a strong user experience, and work at improving ticket deflection. Check them out – if we missed one, let us know in the comments! With the uncanny look and feel of a real shopping site, the Geonaute Help Center offers precise and detailed information about its products, in a well structured manner. The use of an additional 4th category makes it easy for the user to navigate information regarding different products. 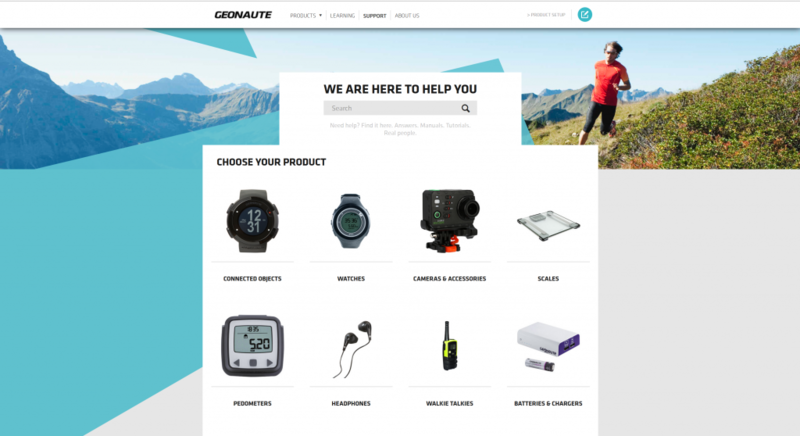 Geonaute’s Zendesk design looks like an e-Comm site. 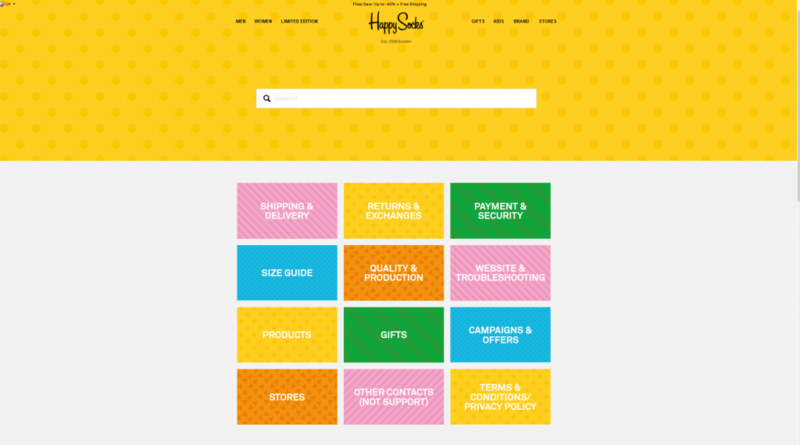 With a scroll-down homepage menu, Happysocks’ Help Center design gets all the key info into one page, making for simple navigation. And their beautiful design matches their website nearly perfectly. A Zendesk design with infinite scroll that mimics the parent website. 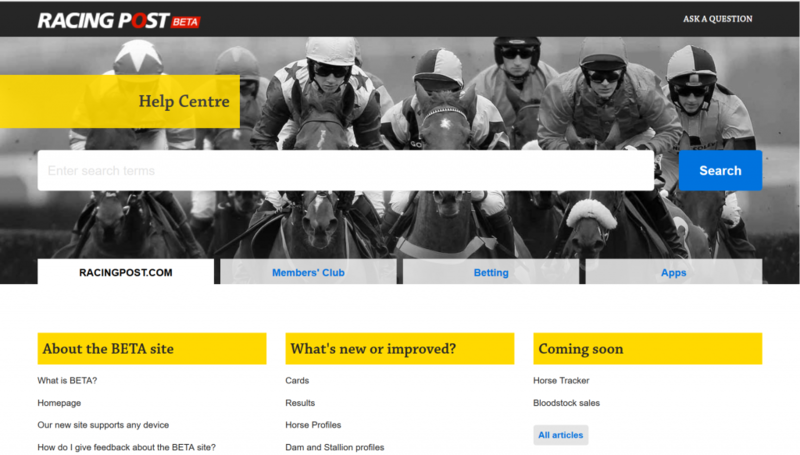 Part of the bet365.com network, Racingpost’s Help Center is built on a very simple, practical and functional homepage design. The use of tabs to filter content from different categories, is both simple and elegant, making it really simple to get your question answered. Great use of tabbed navigation in a Help Center. 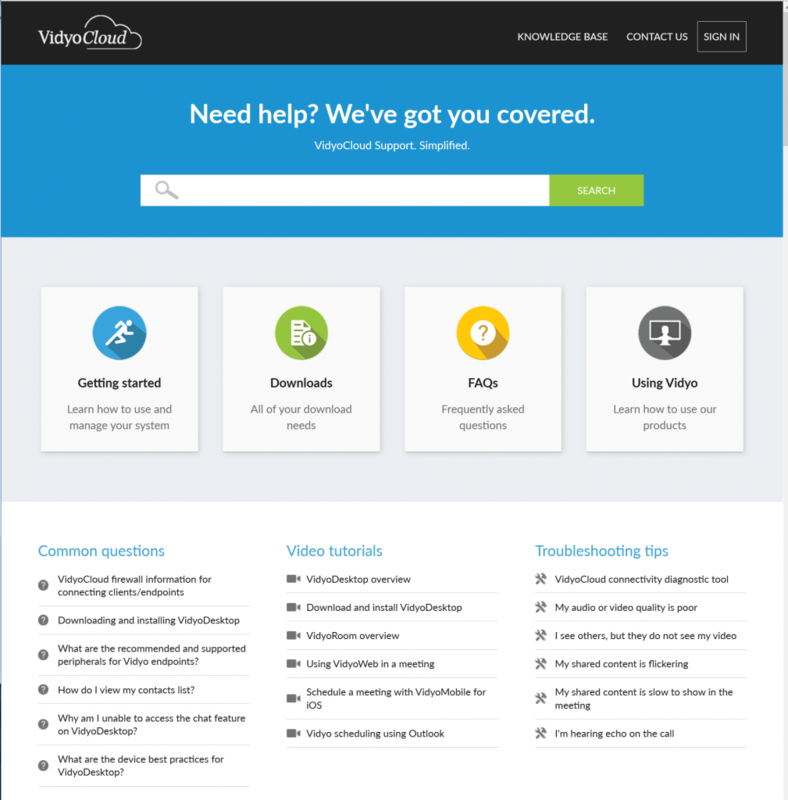 While their Help Center has a very large volume of information, Vidyo’s help center delivers a very well mapped out homepage. 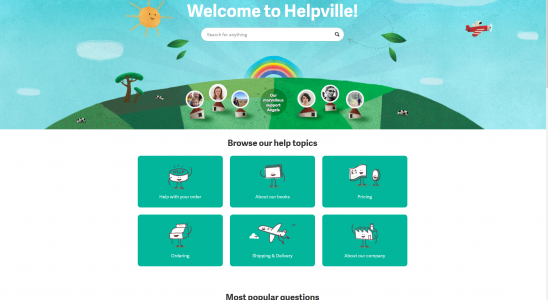 Their well designed Help Center makes locating the necessary support article a much simpler task. 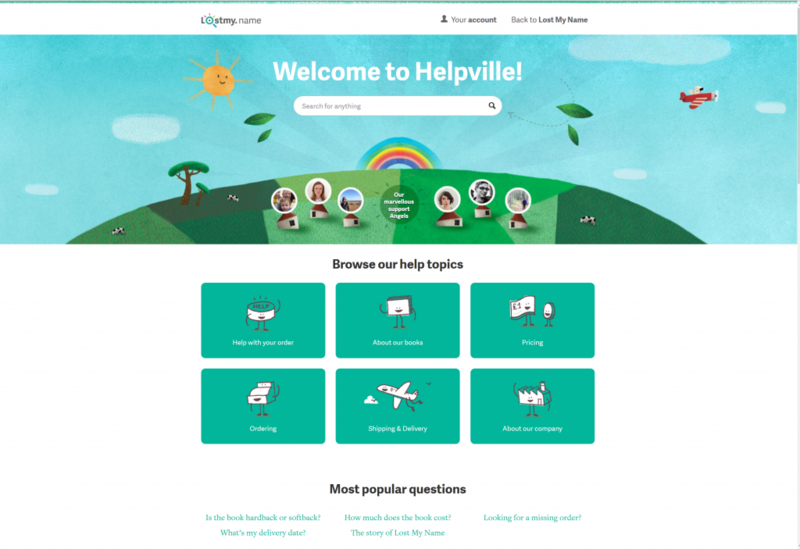 The advantages of a well mapped out Help Center homepage. 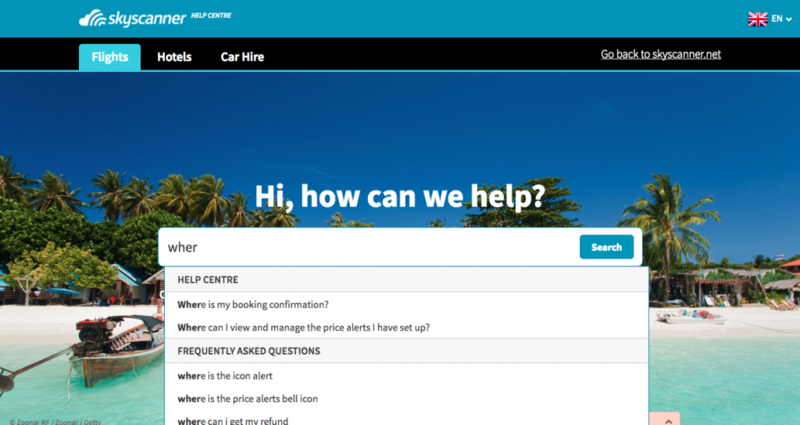 Skyscanner’s slick Zendesk Help Center design. Lostmy.name: The Happiest Help Center? How often do the adjectives happy, bright, and sunny apply to a Help Center? Very few. Which is why the Lost My Name Help Center, with it’s bright and joyful graphics stands out in our books. I mean, videos of kids answering FAQs? This personalised children’s book Help Center delivers big time. As you might be able to tell, we are partial to great iconography. Check out the Vend Point-of-Sale and find your way with simple icons describing and offering information about their service, a retail POS system. This is how you can use great iconography in a Help Center. 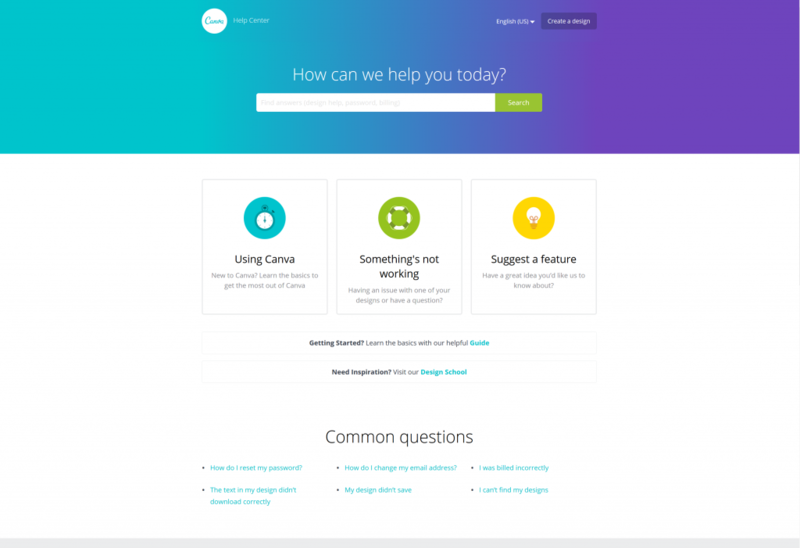 The simple use of colour and clean icons makes it a pleasure to use the Canva Help Center, an easy to use tool created to help users with design. By the way, Canva is a great free to use marketing tool to create quick graphics. How to create a great user experience. Learning is easy with the super clean Coursera Help Center, developed to troubleshoot for users taking free online courses from their parent website, Coursera.org. There you go, 9 great examples of customized zendesk designs, each with a unique takeaway for you to think about when looking at your own custom design. Disclaimer: we tried to stay objective, only including one that we designed. We do think we do a pretty good job. If you do want to see more examples of work we’ve done check out our previous post on Zendesk Help Center Customizations including great tips. Do you have any Zendesk designs you’d add to this list?